Is Your Prasie Glorifying Your Savior Or Is It Glorifying Your Self? Summary: When times are bad God still wants us to praise Him. A Christian’s character is revealed to themselves through their praise. Our time of worship is a time when we as believers open our hearts to the Lord. Our main focus is on Christ. Not on what is for lunch, or on how someone else is worshiping. If we are noticing people worship and are complaining or judging them on what they are doing, then we are no longer worshipping. We have set ourselves up as judge. We have allowed pride to sneak in our hearts. 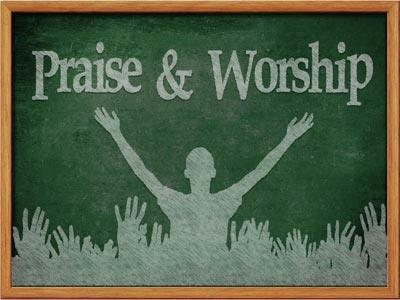 So as Christians if we are to praise God continually then we may need to find out exactly how do we do this, what do we actually do, and why we do this? 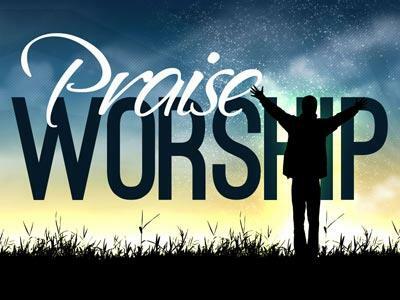 “By Him”, Jesus Christ gives us the power to have the ability to offer up our praise in a sacrificial way. “Let us”-this phrase is said 13 times in the book of Hebrews and this is the final that it is said in this book. These “let us” are exhortations of us as Christians to do something, to keep us busy. The reason we keep busy is because if we are busy doing God’s will, then we will less likely be busy doing our own will. We see these exhortations in Hebrews 10:22-24; 12:1, 28; 13:13, 15. “offer the sacrifice” speaks that our Pride is Sacrificed. How can we truly praise God? By not keeping our eyes on ourselves, but on Him, our Lord. We are to lay aside our wants, our desires, and raise up His wants in our life and His desires for our life. When we look at the word “sacrifice” the passage that comes to mind is Romans 12:1-2. In Romans we see that a sacrifice is to be a “living sacrifice”, a “holy sacrifice”, and an “accepted sacrifice”. “Holy sacrifice”-The soul-We must belong to God for us to be holy brethren. “Accepted sacrifice”-The heart-We must have the right motive within our heart. These are three questions that God already knows the answer to and so do we, when asked to ourselves. Now once we sacrifice our pride, we are to “praise God, continually”. Our Praise is Said. 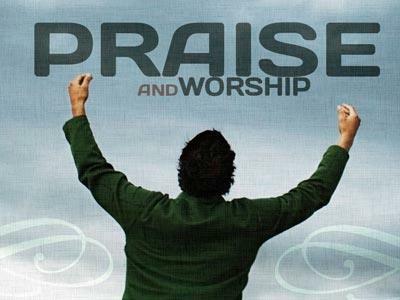 During the good times and during the bad times, we are to praise God. This is what we are to do. We are to remember what the Lord Jesus has done for us. He sacrificed His life for us, He gave up everything He had for us. What exactly can bring us down, when we see what Jesus did for us? In life the only thing that matters is Jesus. The passage says “this is, the fruit of our lips”. When we see an apple tree, we know because of the fruit on it. When we see an orange tree we know because of the oranges all around. But when we praise Jesus during those bad times in our life, people look at us and they see the fruit coming out of our mouths, and hear and see Jesus. Through us Jesus works to reveal Himself to others. “Let us offer” We must be willing. It must be a Desire. “Sacrifice” It must be a living one, not one that is dead. We must Deny ourselves. “Of praise” It must be an active act of praise. Which is a form of worship. We must Declare His praise. “Continually” Constantly praise our Heavenly Father. We must be Dedicated in our worship. “The fruit of our lips” This is our proof of our salvation. This is our Demonstration of our faith in Jesus Christ, and it is also a sign of Direction to others who do not know Jesus Christ. Everything a Christian does is not for his/her own glory, but for God’s. A sacrifice of praise is a witness for Christ, a light, a sign pointing to Him, and not to our selves, when times are bad. When times are bad God still wants us to praise Him.